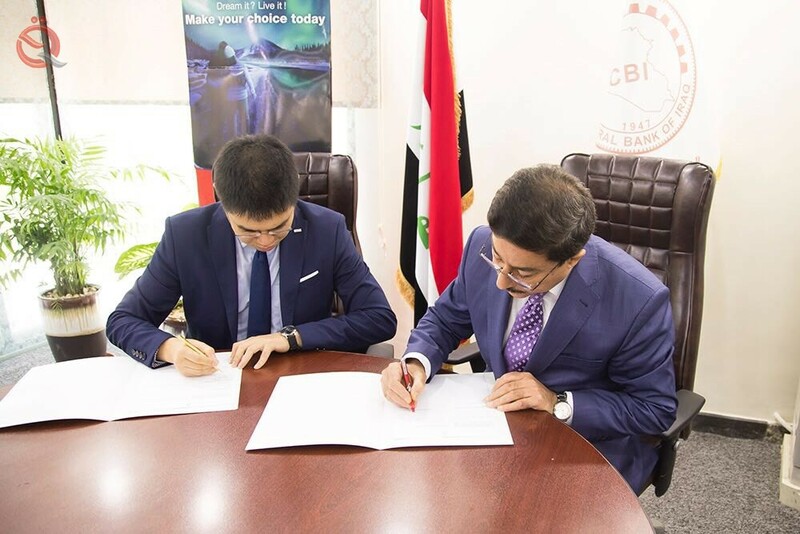 The Central Bank of Iraq (CBE) has signed a Memorandum of Understanding (MoU) with Yunin B International International to contribute to the development of intelligent payment technologies and electronic payment services in Iraq. The Central Bank of Iraq in a press statement received by "Economy News", " the Central Bank of Iraq signed represented by His Excellency the Governor Ali Mohsen Ismail on Wednesday , July 4, 2018 Memorandum of Understanding with the company" Younine BV International World "and to contribute to the development of smart payments and services electronic payment technologies Iraq " . Yunin B is one of the largest companies in China and most of the Asian countries in this field, in addition to being the third largest international company to issue and collect cards .
" This memo comes in light of the strategy of the Central Bank to develop electronic payment services and open the horizons of work and competition for international companies to participate actively in the implementation of current and future plans for the electronic payment sector as well as the development of this sector and the transfer of expertise owned by this company to the Iraqi market, Easy and smooth money transfer through cards to boost trade between Iraq and China as well as various domestic and international remittance services . " He added that "the company intends to enhance the collection of payments to buy cards through traders using the latest technology developed by the company over years in mature markets and promising , " adding that "the support of international companies and organization of work in Iraq will contribute directly to provide the best services and provide effective competition in this the field".
" This is the third agreement signed by the bank in 2018 with international card companies (MasterCard, VisaCard and Yunin B International) as part of its plans to expand the use of high technology to enhance card business and develop payment systems in accordance with international best practices . "